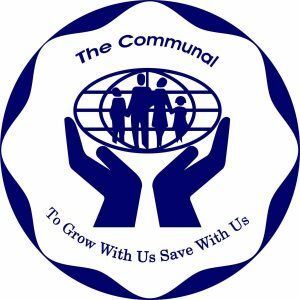 Committed to the holistic well-being of its membership, The Communal Co-operative Credit Union held its annual ceremony for the Rodney Mauricette Scholarship Award on Tuesday, 28 August 2018 at the Public Workers Headquarters, Conference Room. At the ceremony 5 scholarships and 8 grants were awarded to successful students of the recent CPEA examinations, all of whom parents are members of The Communal. In addition to the scholarships and grants awarded, there were 5 special awards given to students who were awarded within the past 5 years with scholarships from The Communal, 4 of these students having attained averages over 80% and one a recent graduate and valedictorian of her school. This Rodney Mauricette Scholarship Award has been an initiative by The Communal since 1988. The inaugural scholarship was awarded to Jusceno Jacob for his tenure at the Grenada Boys Secondary School. Jacob is presently the President of The Communal’s Board of Directors. With 30 years of dedication to the institution of education, the member-focused premise continues yearly assisting in 5 full scholarships for the secondary tenure and one-off grants for the commencement of the academic school year. Students, parents and guardians were motivated to embrace the opportunity afforded to them with a secondary education and the awards given to them. General Manager, Lydia Courtney-Francis in addressing those present, made reference to the value of the scholarship and grant awards. According to Courtney-Francis, “This Rodney Mauricette Scholarship Award is a part of your success equation, in securing your future, hinged to your vision and goals!” Awardees and their families were also assured that The Communal will be along the journey which is ahead of them. Such sentiments of embracing and making good of the investment of the awards were echoed by Deputy Chief Education Officer with responsibility for Curriculum, Maria Charles-Viechweg and Vice President of The Communal Board of Directors, Jennifer Gulston-Gittens. The Vice President highlighted the achievements of the current president, who stands as an exemplary role model for them and they too can attain such achievements with dedication, discipline and determination. Charles-Viechweg also uttered key words of advice as to how each student can stay on the path of success with a positive mind guided by a good value system. Past recipient and special awardee, Thalifa James also shared words of encouragement and her experience during her tenure at the St John’s Christian Secondary School. James spoke of the feeling of intimidation in a new environment on entering secondary school but reassured the students that this new environ can be seen as a place for growth and one where you can learn life lessons. Thalifa is one of the many success stories of The Rodney Mauricette Scholarship Award and The Communal is exceedingly proud of her achievements, having been successful in her CSEC exams for 2018 and presently preparing to commence the TA Marryshow Community College this semester. The award session also sought to engage with students, parents and guardians with pertinent tips for the secondary school experience. This session was facilitated by Robert Phillip, Psychotherapist of the Student Support Services within the Ministry of Education and Human Resources. The focus of his presentation was; “The Transition from Primary to Secondary Education.” His discourse gave the young minds, parents and guardians a comprehensive psychosocial viewpoint of the expectations and experiences which are a part of their near future stage of life. They were encouraged to stay on course and reminded that student life is not a solitary journey but one which involves a dynamic set of individuals; students, parents, guardians, teaching faculty, community and the Ministry of Education. The Communal is excited and proud of the present achievement of new scholarship and grant awardees and looks forward to great experiences and their success! The pledge to continue the support to national development through the agency of education is one of the visions of The Communal.